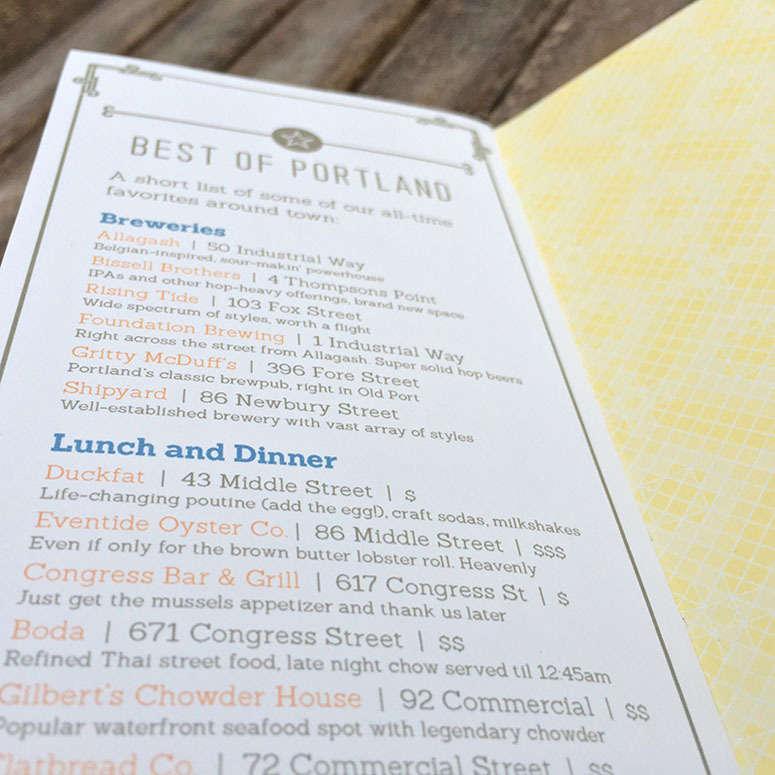 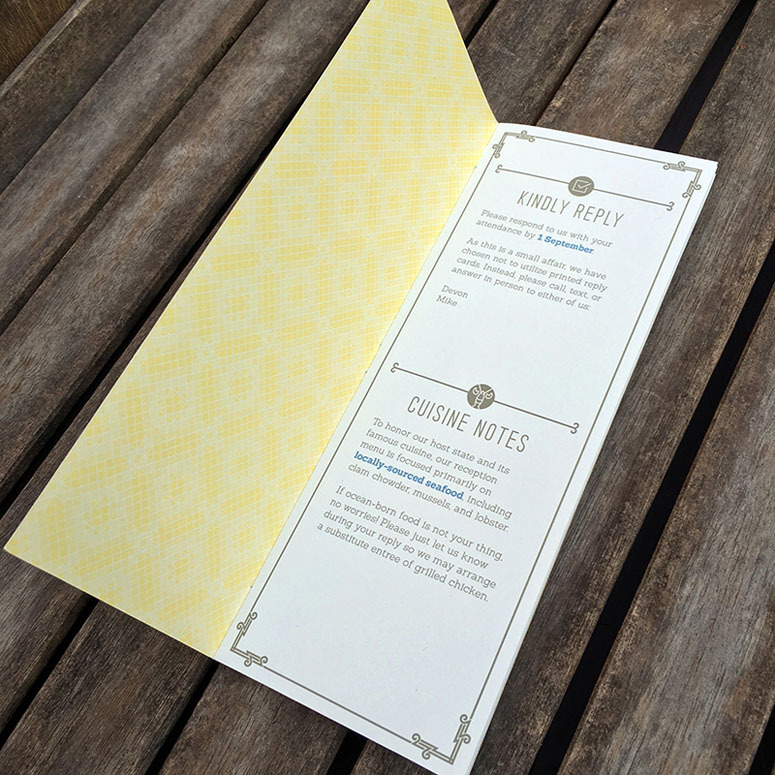 Fully hands-on with every aspect of concept, design, and execution, we crafted this trio of pieces to exist cohesively together yet vastly different in their executions. 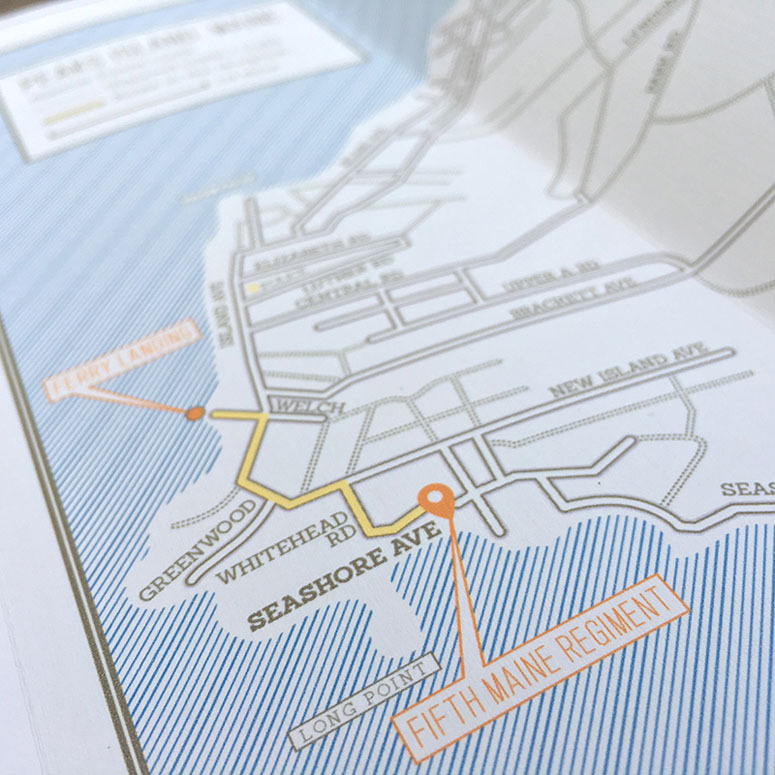 The intent was to quickly establish this as a casual, quirky affair split between one of Maine's most iconic lighthouses and a Civil War regiment set out in the Casco Bay which said lighthouse overlooks. 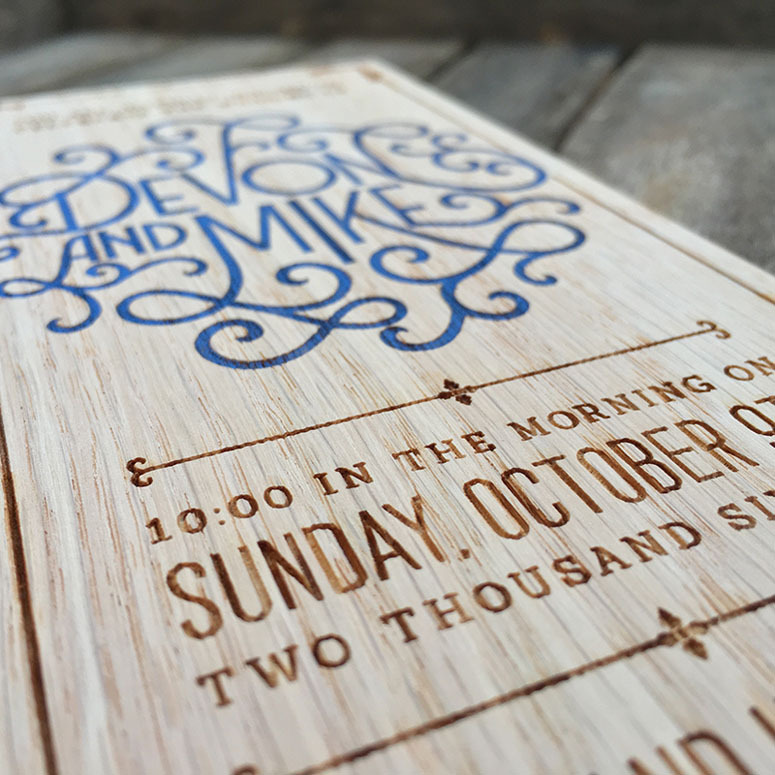 Riddled with inside details reserved between the bride and groom, the hand-stamped and distressed envelope leads into a laser-engraved oak invitation and onto a printed-paper wedding guide to set the tone of a very handmade affair, free from the constraints of a militant color palette or rigid wedding clichés. 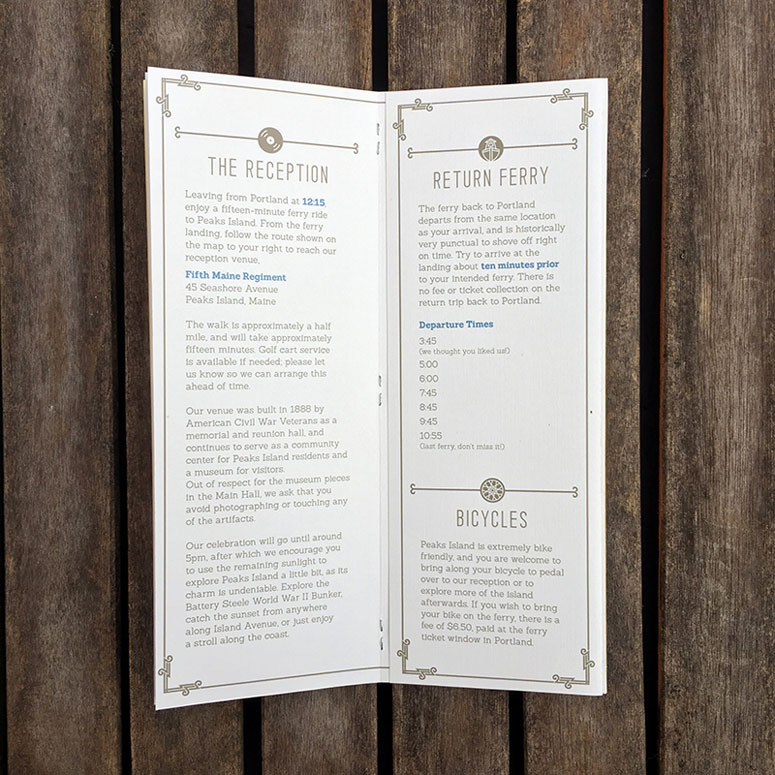 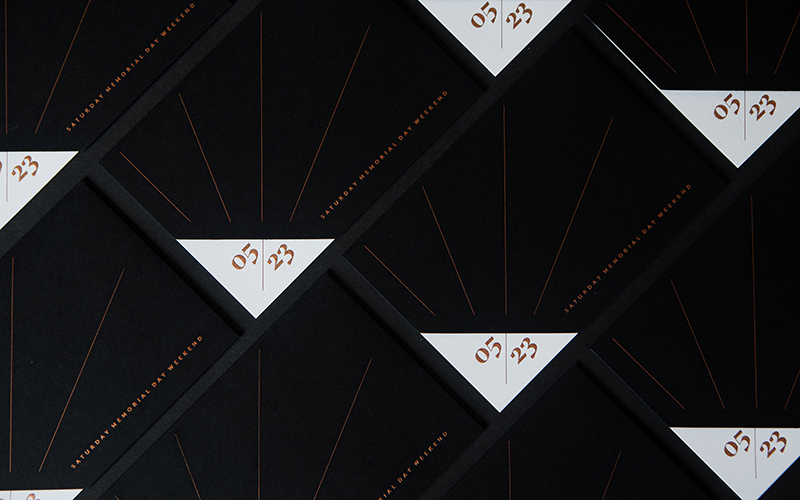 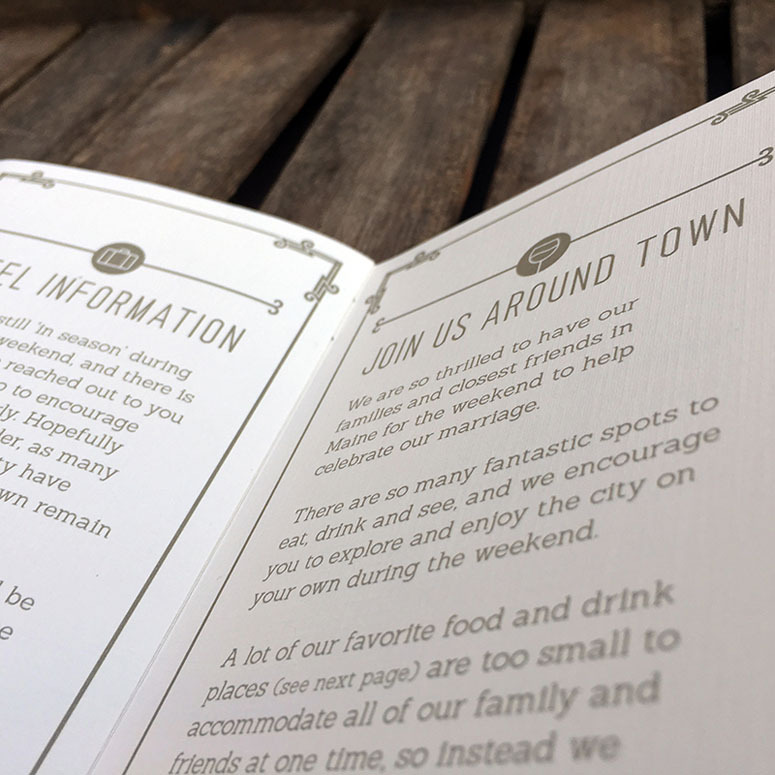 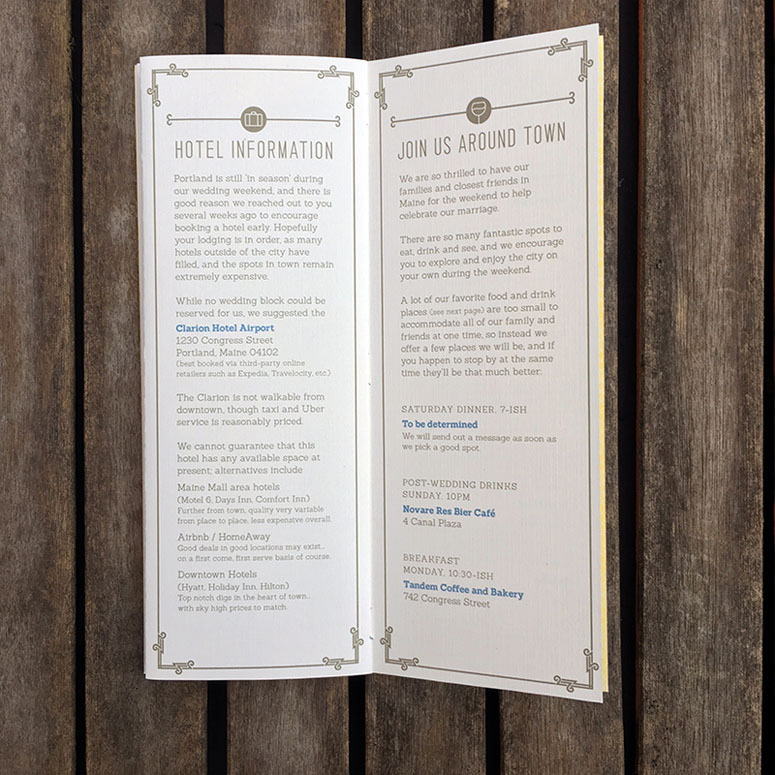 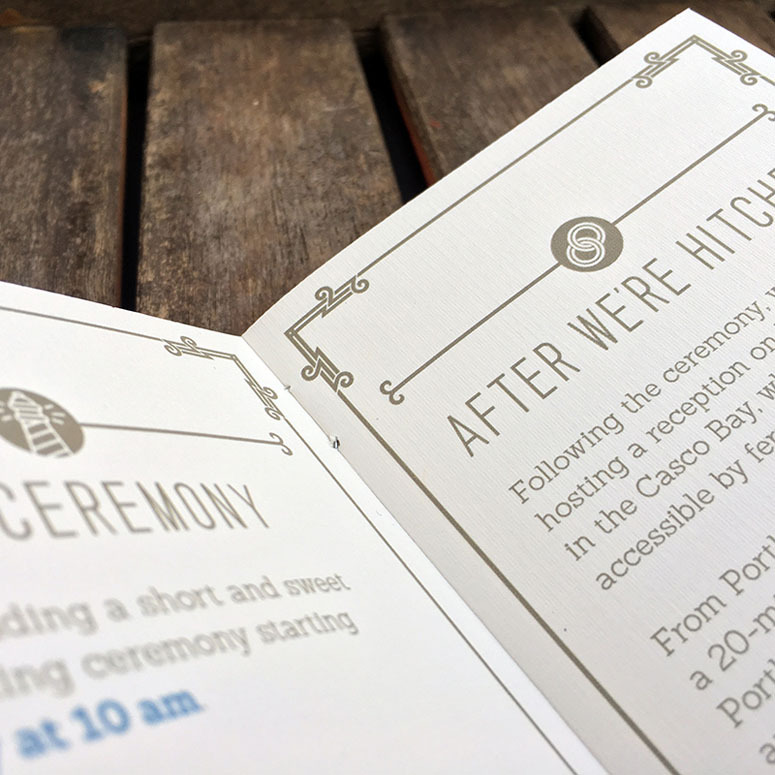 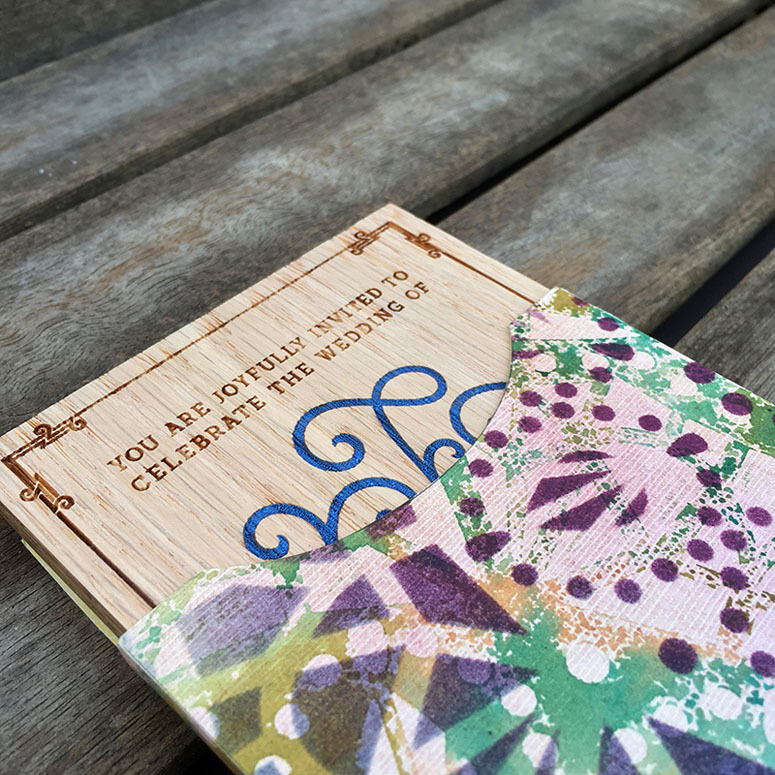 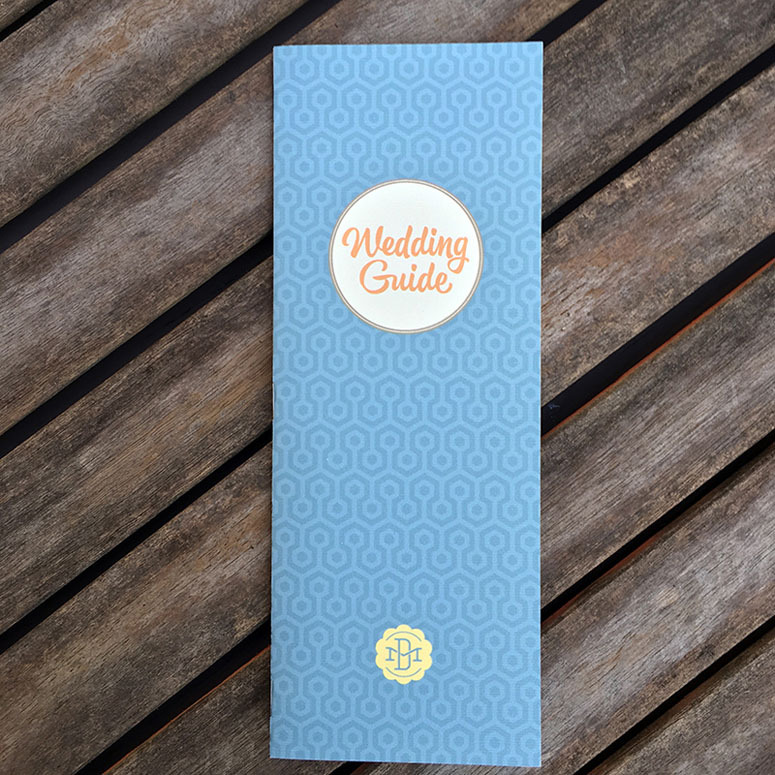 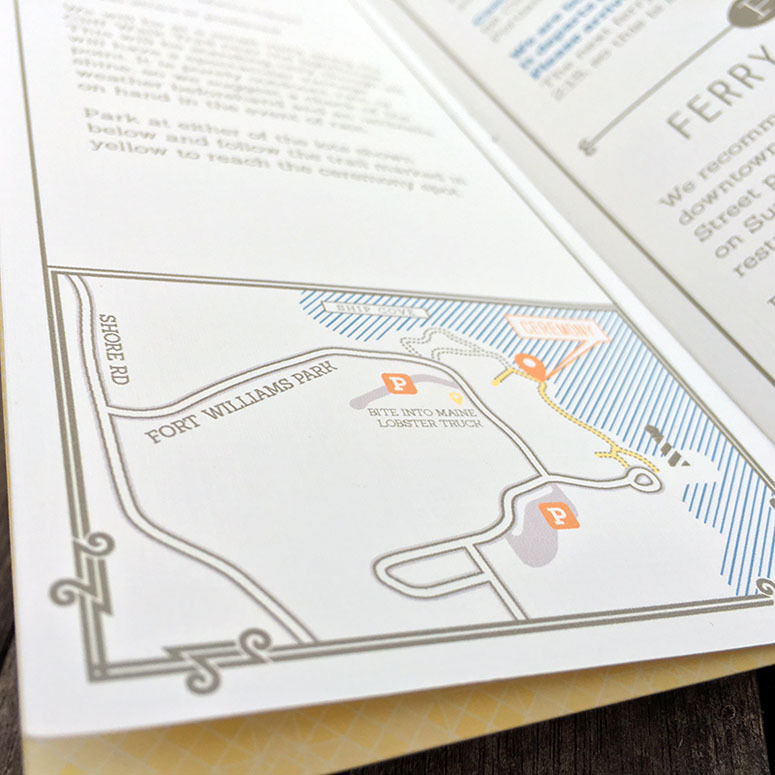 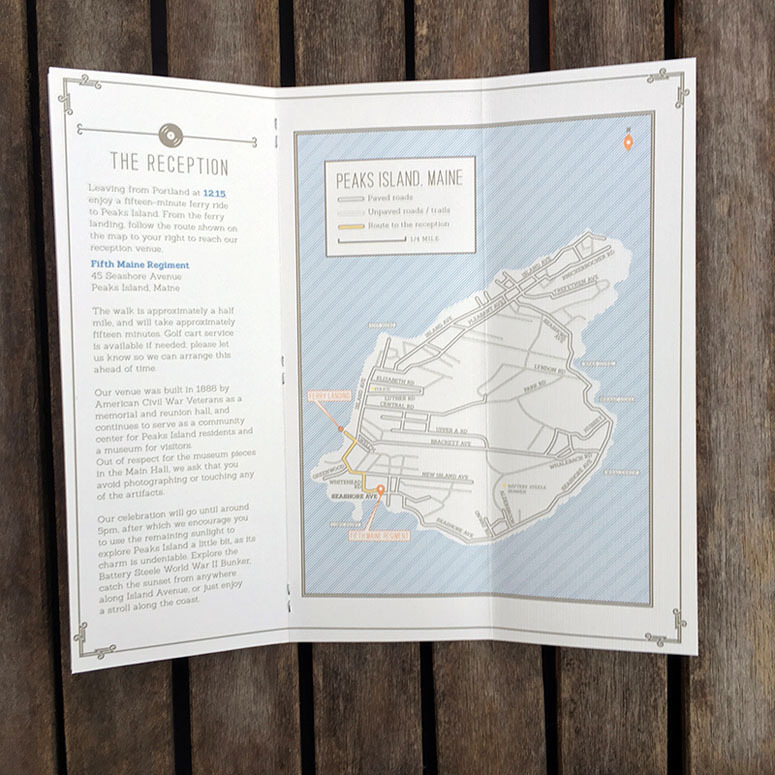 Hosting an intimate wedding gave us the opportunity to approach our invitations with great ambition, as well as the joy of being able to produce everything ourselves. 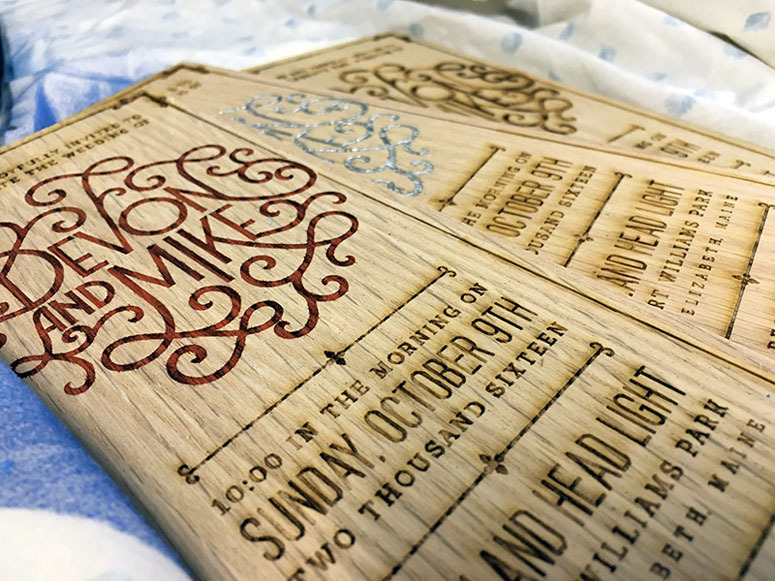 Mike works as art director for a local sign company and thus had access to laser-engraving, and all other aspects were done in our downstairs home studio. 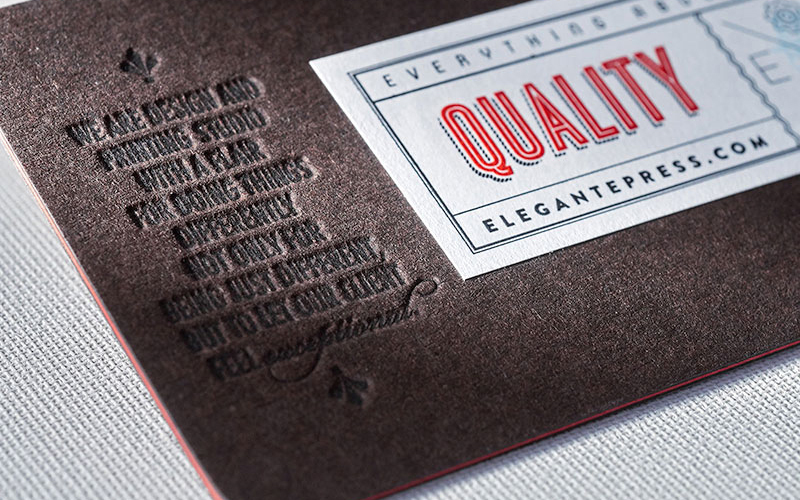 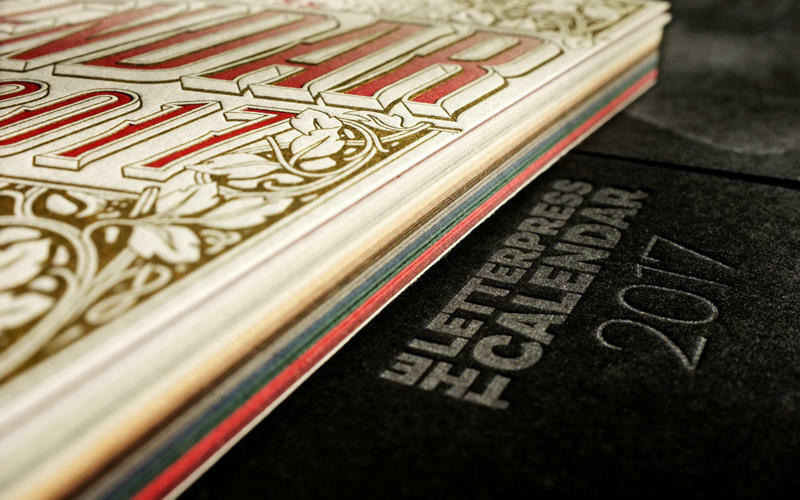 This also gave us the freedom to be creative and explorative with minimal cost. 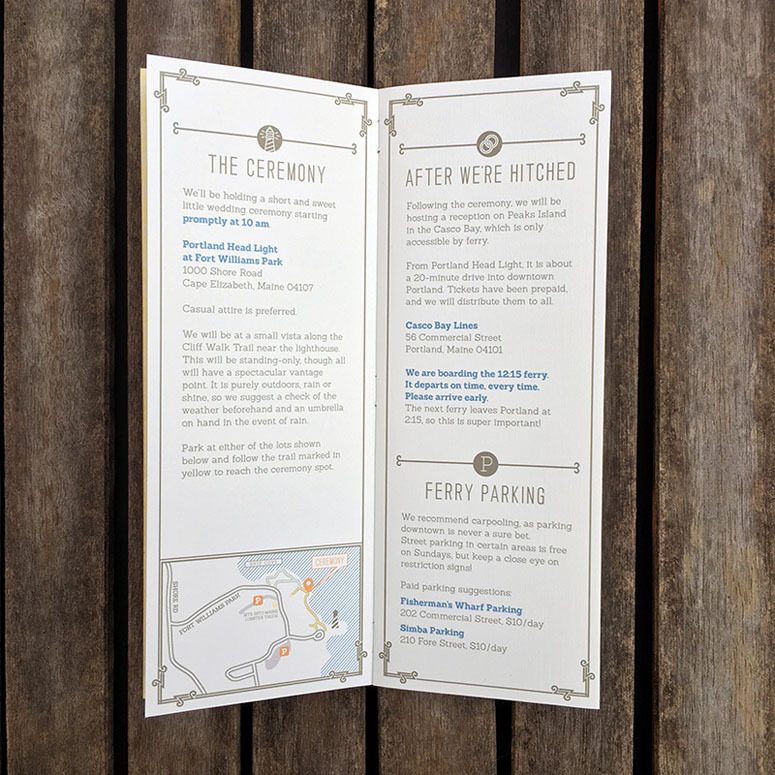 One very clear detail from the production of these is that this set is in no way scaleable, so a traditional 80+ person guest list would have yielded all of these pieces unachievable without drastically increasing budget and reliance on their-party vendors. 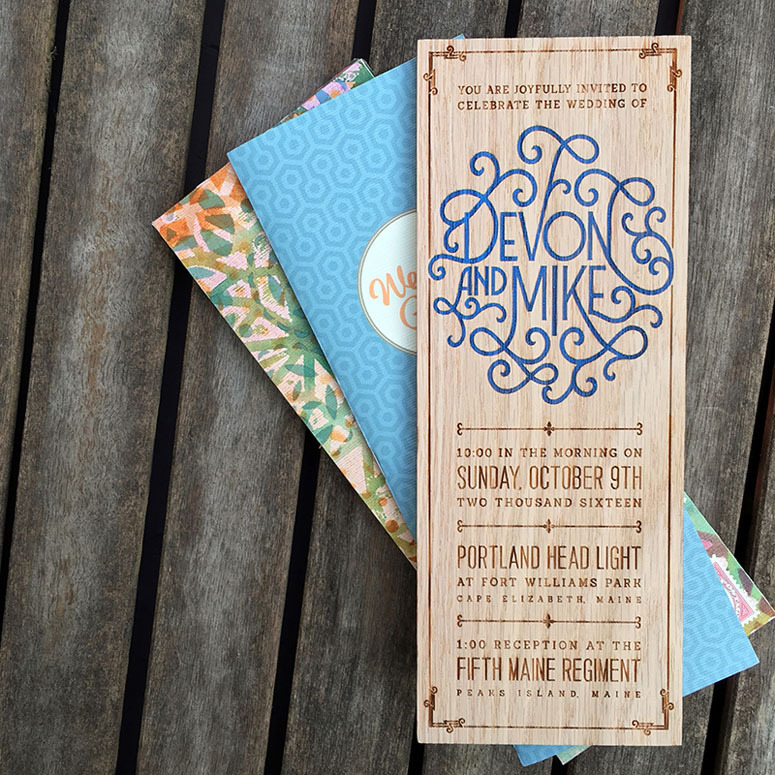 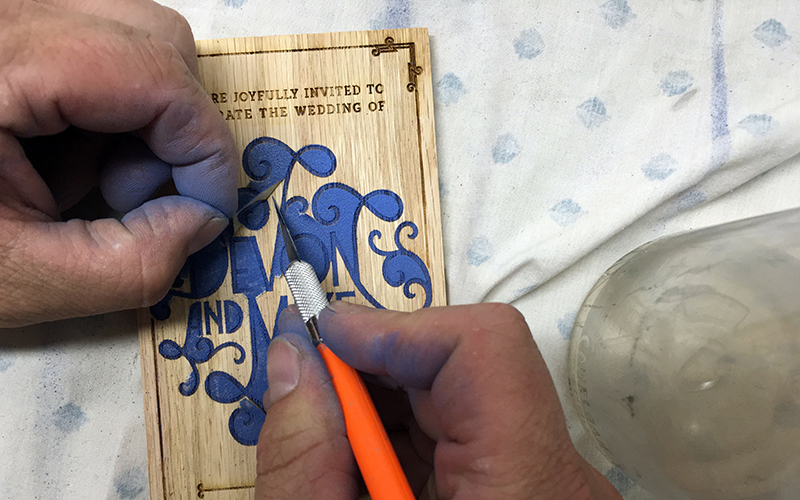 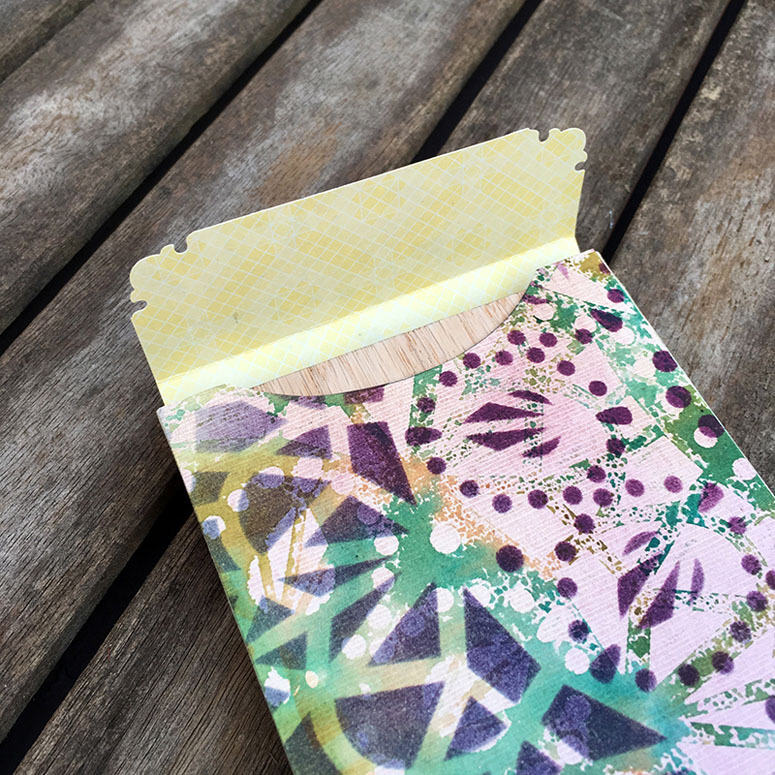 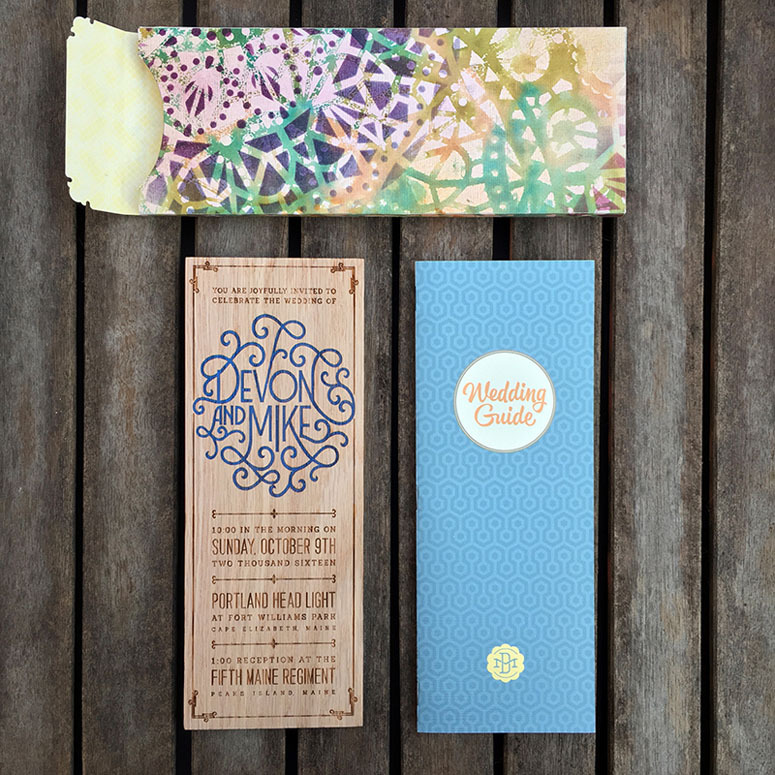 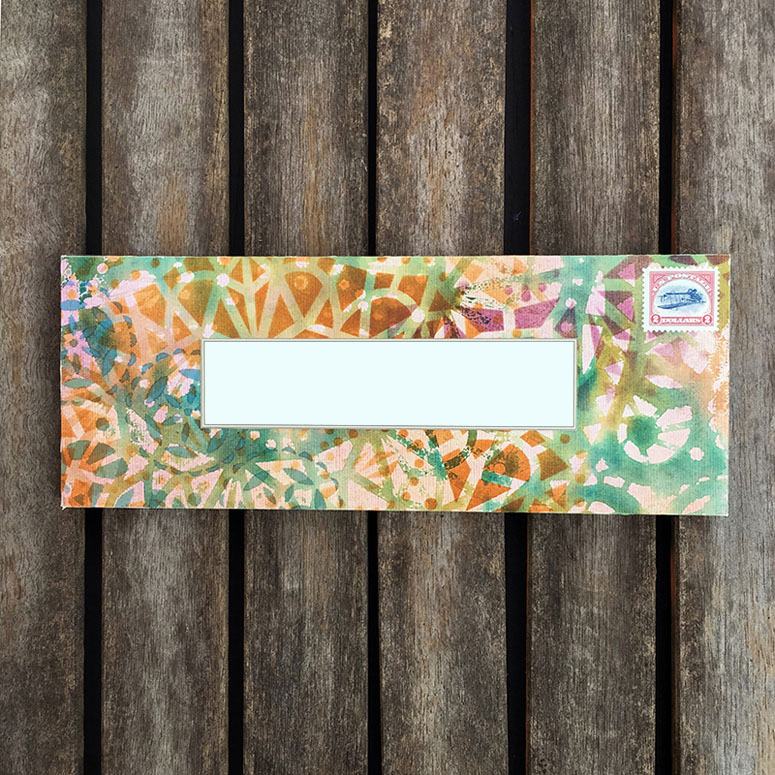 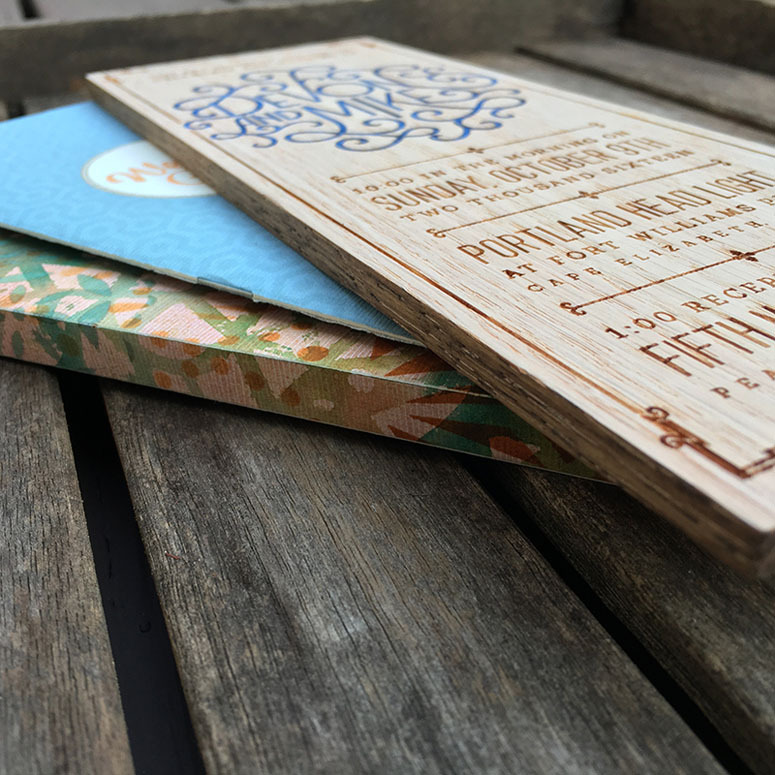 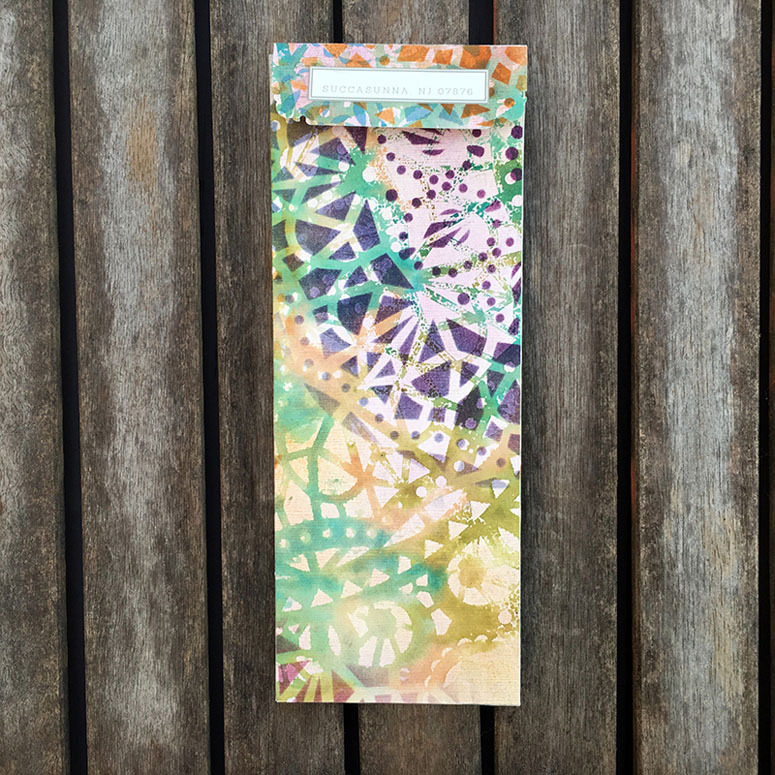 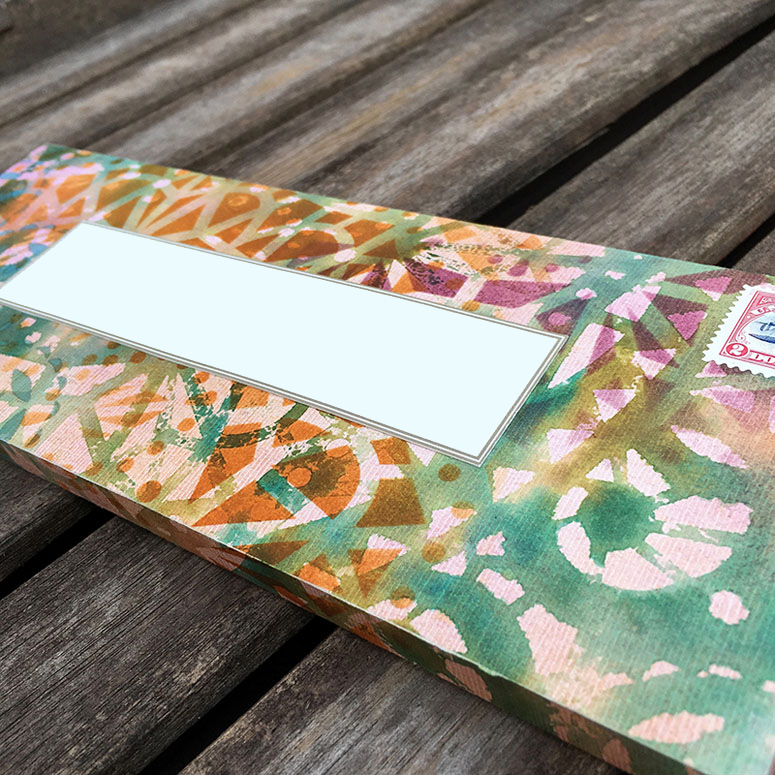 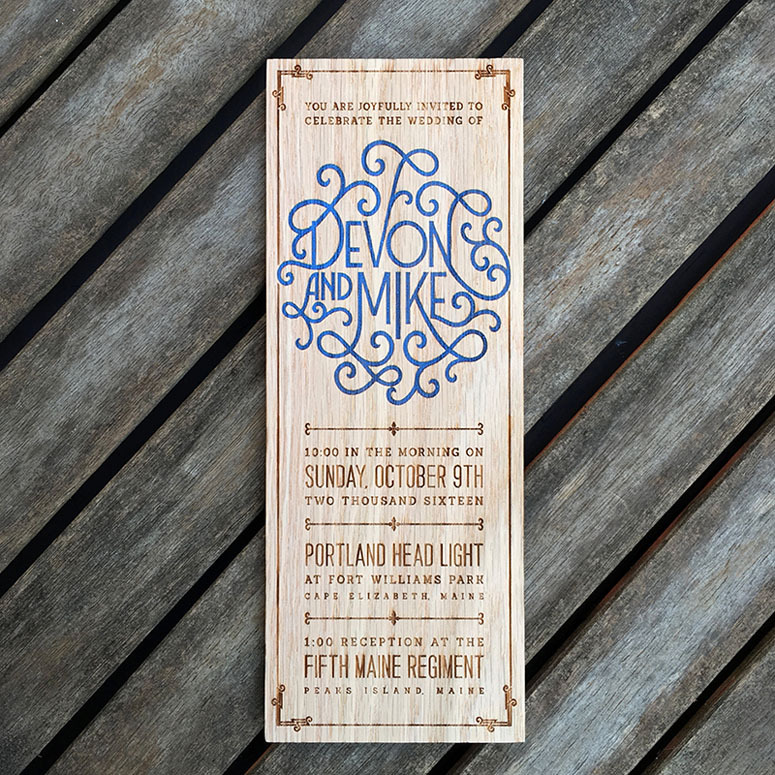 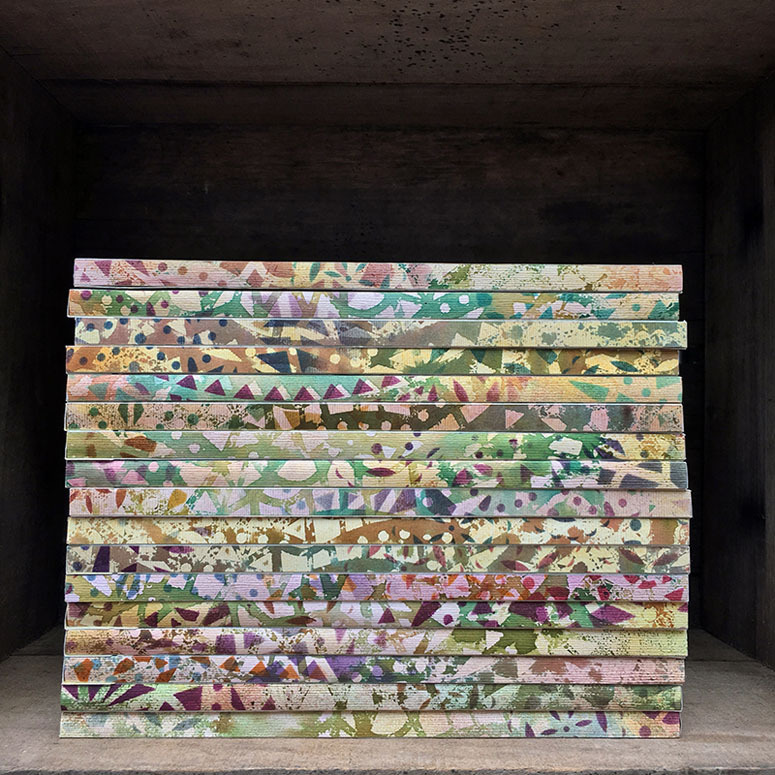 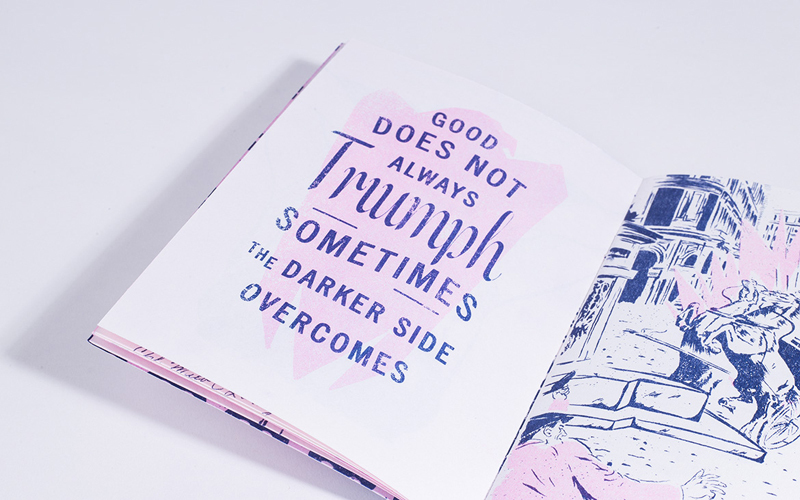 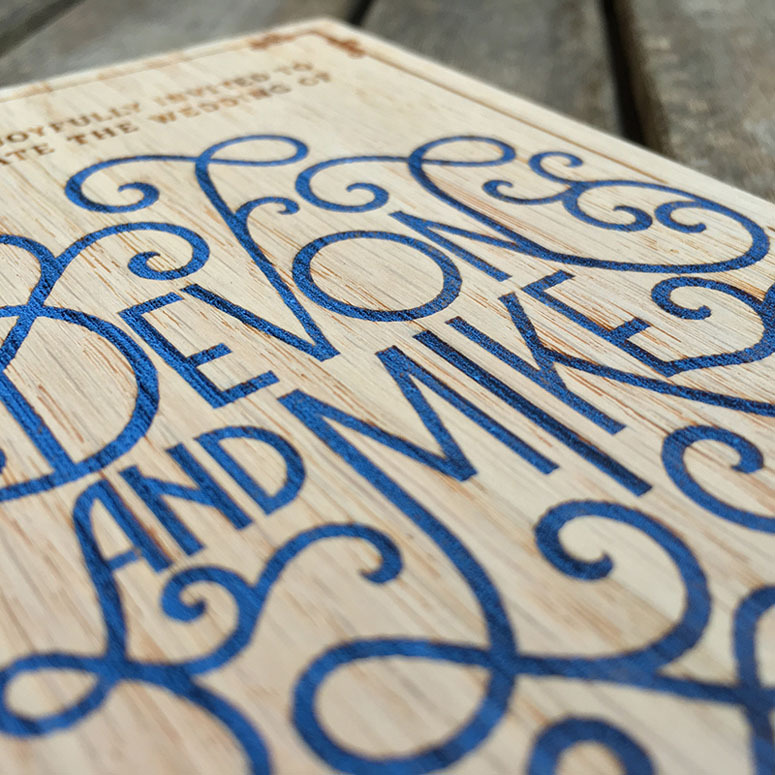 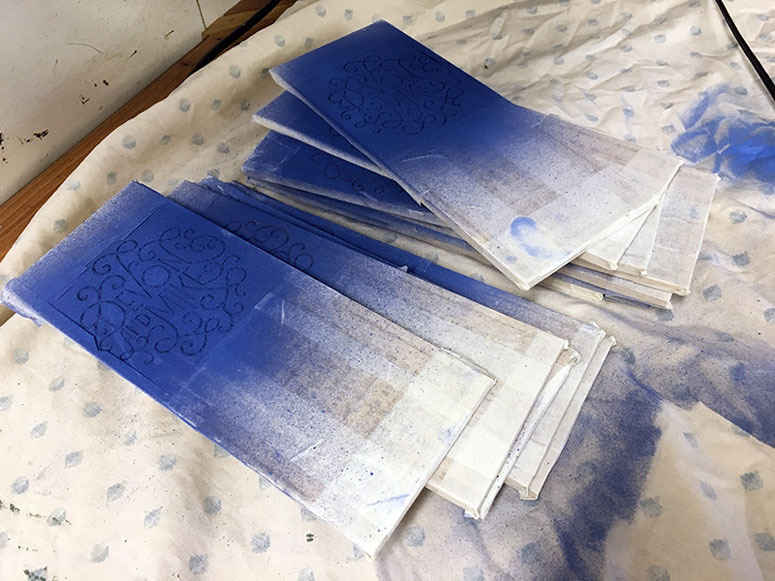 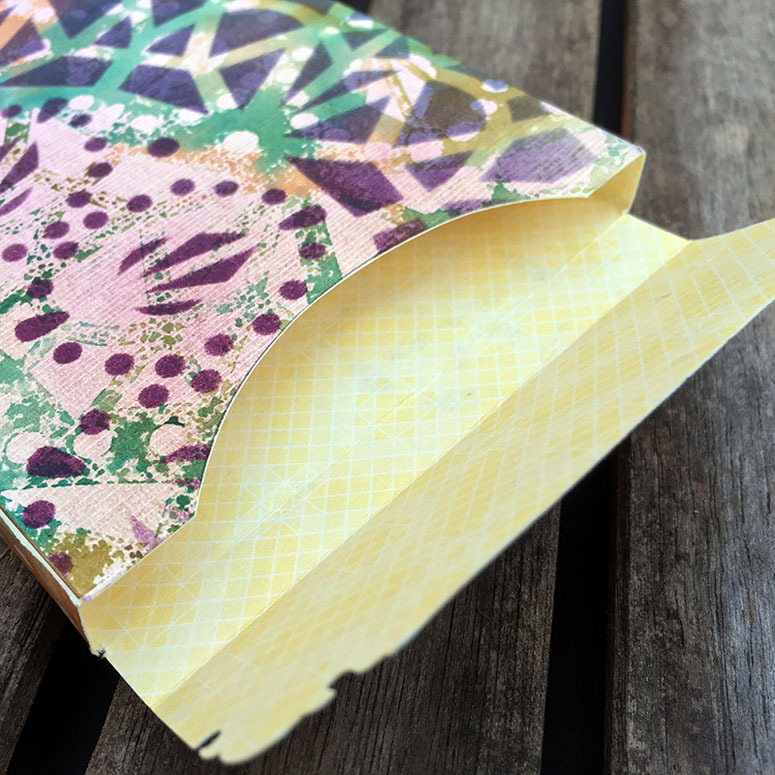 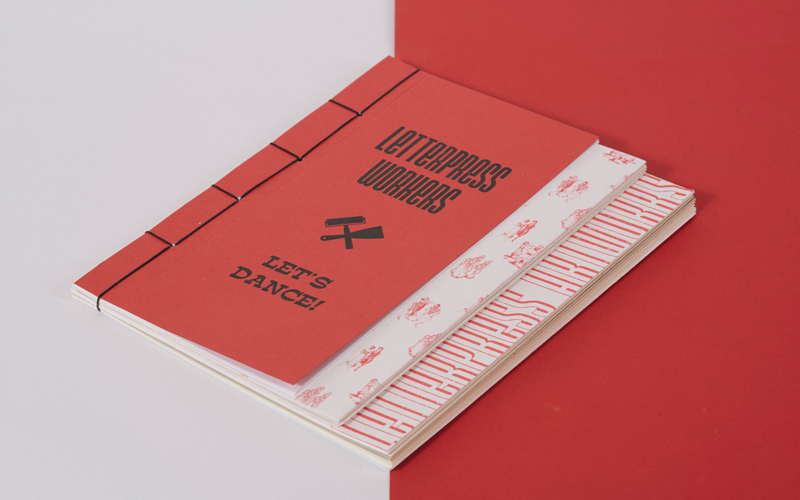 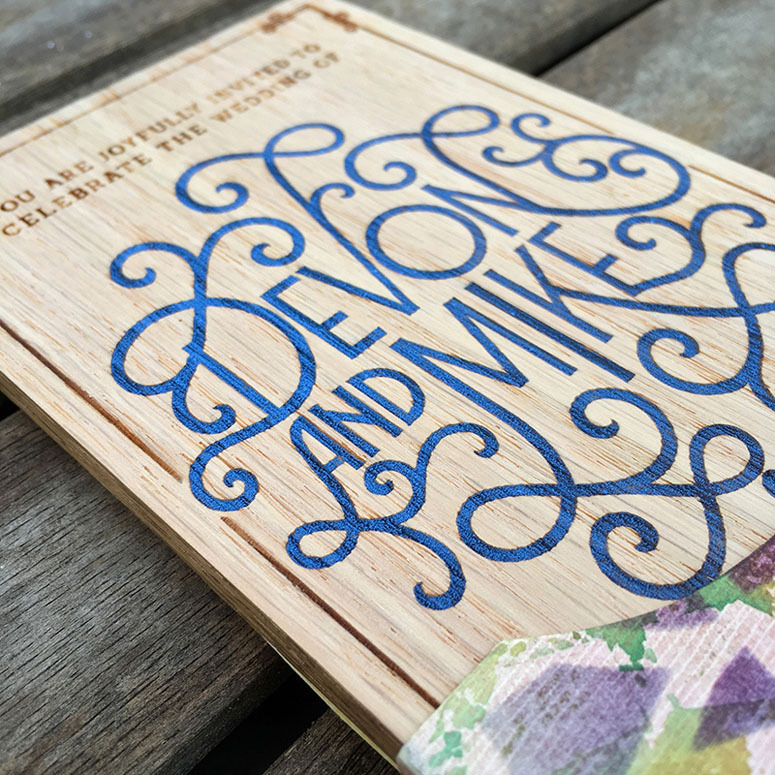 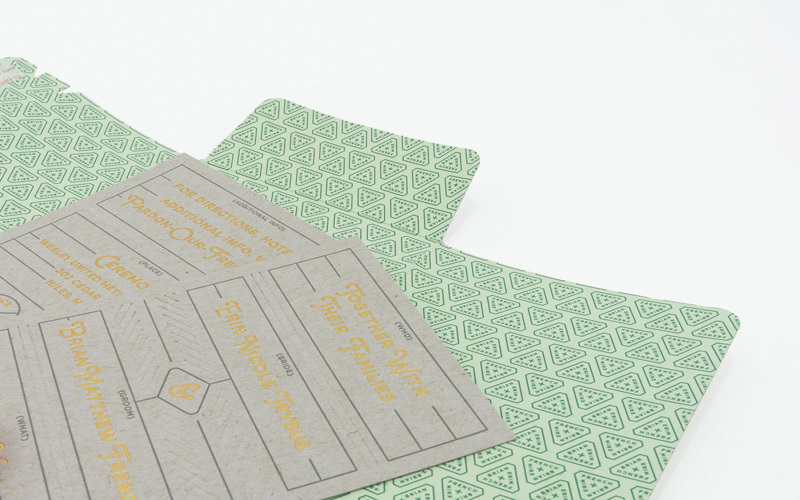 Having the opportunity to do a small run project while having access to various tools of the trade, Devon & Mike spared no detail in creating one-of-a-kind wedding invites for their quirky event.